Well, it looks like the upcoming live-action Green Lantern movie starting Ryan Reynolds is underway. Here is a cool look at the concept art for the movie. The art was first acquired and authenticated by Cosmic Books News. 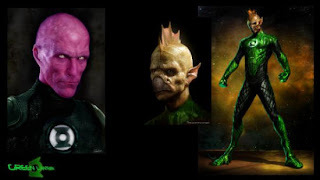 The art shows what Kilowog, Tomar-Re, and Abin Sur, the lantern who uses his ring seek out Hal Jordan as his replacement after his ship crashes on Earth. The film will also star Blake Lively as Carol Ferris and Mark Strong as Sinestro. The movie is scheduled for 2011 release. 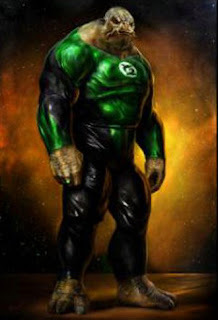 Are you looking forward to the Green Lantern Movie? For more Super Hero videos check us out.